Unlimited hydroplanes are considered the world's fastest race boats, capable of speeds in excess of 200 miles an hour on the straight-a-ways. That undoubtedly makes Jamie Nilsen the world's fastest CWU alumnus. During the year's Columbia Cup hydroplane race in the Tri-Cities, Nilsen completed his unlimited driver's qualification, a process that requires 15 laps on the course with 10 or more of them at speeds greater than 130 miles an hour. He then drove in a preliminary and the championship heats. The next week, Nilsen followed that up with three solid preliminary heats driving the Snoqualmie Casino hydroplane at Seattle's Seafair race, where–as the only rookie driver in the field–he qualified for the winner-take-all final heat. "It's been a lifelong dream of mine to be out there racing where I first started watching the boats run," Nilsen said. "I was one of the kids that would ride my bike with the little wooden hydroplane tied behind it with a string and I had all the pictures of the boats and the drivers up on the wall of my bedroom. To actually be able to live that dream is a pretty cool experience." A Federal Way native, now living in Fife, Nilsen also spends time with the boats out of the water as a crewmember for Go Fast, Turn Left Racing, based in Covington, for which he also drives. "It's his competitive spirit," said Greg O'Farrell, talking about why Nilsen was hired to drive. O'Farrell owns the Snoqualmie Casino hydroplane with his son Brian. O'Farrell is also owner of Renton's Lakeridge Paving company. "It's so important that you have good guys representing you sponsor," he added. "And it's really important to me that they also represent my family well. Jamie is all of those things." Nilsen came to love hydroplane racing early in life. "There are pictures of my grandfather and my dad taking me to the Seafair races when I was in a stroller," he noted. "It was an annual thing that we'd do together as a family. When I got old enough, and my dad had the time and a little bit of the finances, we decided to take the plunge, buy a boat, and go racing together." Nilsen, now 28, proved to be a natural. He won three outboard national championships, including one earlier this year, set eight competition world records, and was inducted into the American Power Boat Association Hall of Champions in 2000 and 2002. "I started racing when I was 12 years old," Nilsen said, "in the J-stock [small outboard] hydros, racing on little lakes and rivers around here. I worked my way up from there over the years." Those years included five at CWU [Central Washington Univerty] for Nilsen, who graduated in 2008 with a bachelor's degree in business administration. He was also a baseball standout for the Wildcats. During his senior season, he batted .468 with 10 home runs and 59 runs batted in, and set five single-season Great Northwest Athletic Conference (GNAC) records. He was named a first team NCAA Division II All-American by the National Collegiate Baseball Writers' Association. "I would say that he's the best baseball player that ever played here," said CWU head baseball coach Desi Story. "A big thing about Jamie when he was playing—and maybe this had something to do with his racing—was that nothing ever bothered him, he never got rattled." Nilsen pointed out, "Growing up I played all the different sports, baseball being one of them, but boat racing was always my main focus. I'd want to go racing as much as I could and then in my free time away from racing I'd go play baseball." A two-time GNAC Player of the Year, Nilsen signed with the Kansas City Royals and played with the club's rookie team in Arizona in 2008. He hit .273 with four doubles, a triple, three home runs, and five stolen bases in 31 games. But, instead of continuing to try to make it to Major League Baseball, Nilsen decided to try for the major league of boat racing. "Looking back I, possibly, could have pursued it [baseball] longer," he recalled. "But, I was at a point in my life where I already had my degree from Central and I was ready to move on and start a life. But boat racing was still there and I still had something that could fulfill my competitive side. It helped me with the transition out of the baseball life." 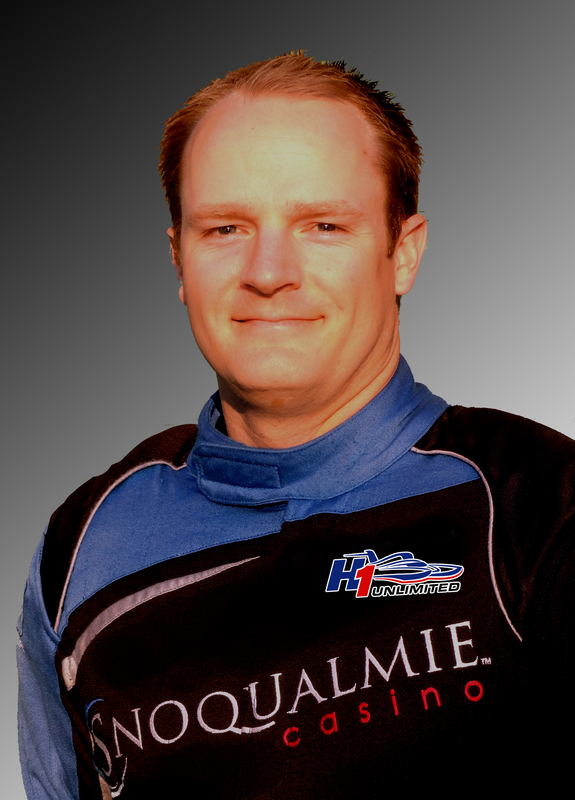 While there are 750 players in Major League Baseball, Nilsen is one of just 14 people in the world currently qualified to drive an unlimited hydroplane, according to Mike Noonan, the chief referee for H1 Unlimited, the sport's sanctioning organization. Nilsen did make a brief baseball comeback when he had the opportunity to throw out the ceremonial first pitch before the Seattle Mariners game at Safeco Field on July 23. While racing is his avocation, his vocation—putting his CWU degree to use—sees Nilsen working a day job as a financial analyst at the Puget Sound Naval Shipyard in Bremerton. Nights and weekend are reserved for hydros. "I've got to save up all of my vacation time to be able to support all of my racing over the summer. There's more [money] going out than there is coming in," he said, with a laugh. "But everybody has to have a hobby in life and boat racing just happens to be mine."